Elionurus tripsacoides Humb. & Bonpl. ex Willd. 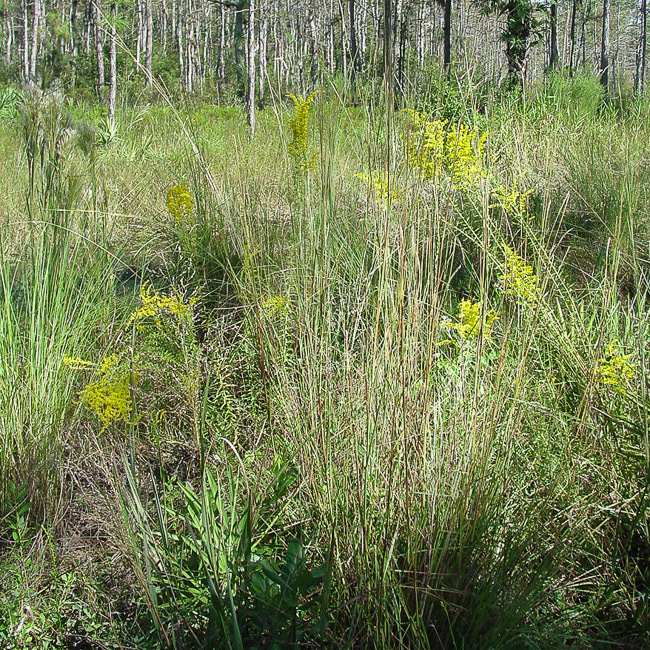 Recognition: Large grass to > 1 m tall. Inflorescence a long, slender rat-tail spike. 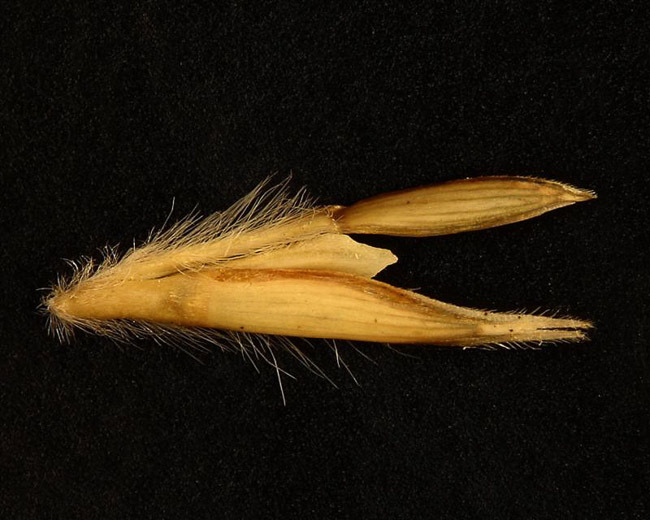 Large spikelets (6-8 mm). 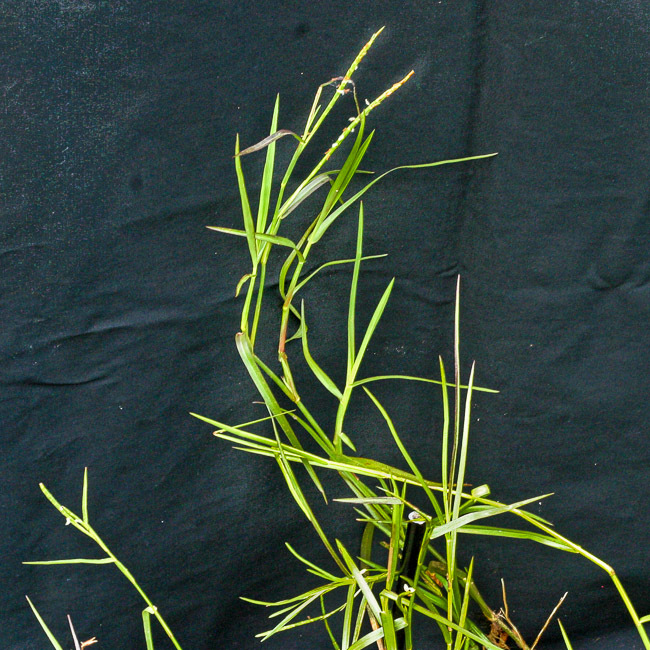 Glumes notched. 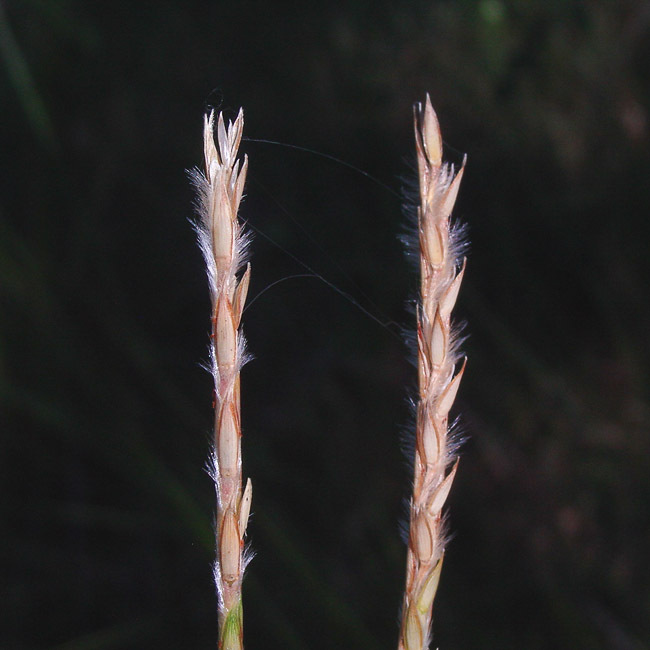 Inflorescence fuzzy when mature.